Yesterday, I completed my 800th dive. Today, I find myself reflecting on the remarkable journey from my first dives to now. I dare share my thoughts with you here because . . . diver or not, I believe there are elements of this life journey with which many can identify and because the feelings I express about “Mother Ocean” is what I think unites us here on The Marine Detective. Oh – and also, it provides insight into why I tend to snarl when a minority of people, state “You must have a really good camera” after seeing my underwater images, suggesting that it is merely photo-equipment dependent to go deep and deliver evidence of the astounding and fragile life hidden in these cold waters. I never could have anticipated how the cold NE Pacific would become the greatest force in my life and, as I think often is the case with the most important things in life, the journey has not been easy. Shiner . . . Image in my first dive log. Me just after my 37th birthday with “mask squeeze”. That’s me about a week after my 37th birthday. On my birthday itself, while on my 20th dive, I got “mask squeeze”. Every capillary in my eyes burst because I did not equalize the pressure in my dive mask as I descended. This was due to complications while I was learning to dive with a drysuit. I delight in there now being an island on our coast informally named after me . . . Shiner Rock. Far more important, however, are the lessons I learned from this dive, and the other 799. I should acknowledge that 800 dives is not a big deal for some, especially if you are a warm-water diver and if you have been diving since your youth. My diving life has been from age 36 to age 50 and almost all these dives (the equivalent of 25 days underwater) have been here in about 6 to 10°C water, off the coast of NE Vancouver Island. The decision to take a dive course seemed frivolous at the time but again, as it seems to go, some of our seemingly smallest decisions appear to give life the greatest meaning. I began my first course in 1999, the year I returned to British Columbia after teaching in the Netherlands for 14 years. I aborted what many would consider an important career trajectory, knowing only that I had to get back to learning from Nature. I had been working in big city Rotterdam at that time and had become so tired of hearing myself talk about Nature as if it were somewhere else. One surprise whale watching trip on NE Vancouver Island led to my moving here. My dive course was not typical in many, many ways with my first ever dive being in a glacier fed river in a community that had ocean surrounding it. I will never understand why we did this. But, while in my father’s thin, old wetsuit, shivering uncontrollably and falling while trying to stand on algae-covered river rocks, I saw one salmon. I was in deep, right from the start. Now, so many dives later, while the lessons don’t EVER stop, the artwork below captures what diving in these waters has brought to my life. Shinier . . . Me? Artwork by Jennifer Bonnell; presented to me at age 50 as an interpretation of who I am. And apparently . . . that is also how some people see me. That piece was given as a gift on my 50th birthday last April. . . as a portrait of me. Shining? Passionate? Mermaid-ian? Inspirational? Ocean advocate? Please know how much I struggled to type that. I am so moved, so grateful, and so much further incentivized when honoured by people using such references in relation to me. 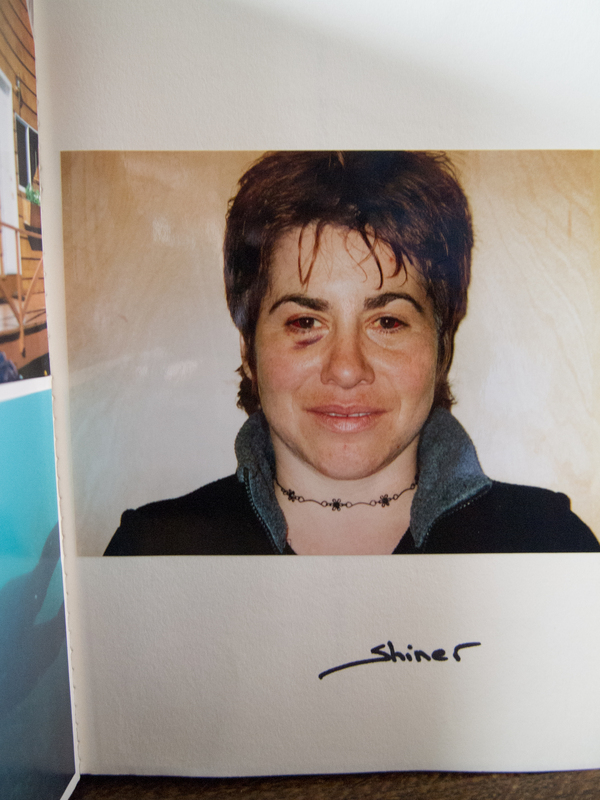 I know fully the personal journey it has been to go from “Shiner” to maybe appearing to be “Shining”. And I know too what diving has brought to my life . . . depth of understanding and and depth of purpose – wanting to shine a light of awareness on what lives in these waters and, thereby, help motivate greater conservation. The Ocean is the source. The battle force. She is my inspiration. She is the beginning and she is the end. She is where I hide and where I am fully exposed. She has taught me my most valuable lessons and . . . . I know it’s not over yet. Not by a long shot. The plan is to do at least another 800 dives. Thank you so to all of you who are part of the journey. For a related post, with a poem written after my 600th dive 4 years ago, see “Diving After the Storm – My 600th Dive“. With particular depth of gratitude to dive buddies Jacqui Engel and Natasha Dickinson and further members of the Top Island Econauts. Jackie, I think the honour is ours when you share your amazing life work with us. I have learned so much from your posts and managed to keep up with what is happening to our oceans, the magnificent life they hold and the nature that surrounds them through your generosity of spirit. I do not even remember how I found you but I offer up a wee prayer often that I did. Congratulations on your 800th dive and I hope you have 800 more…..hope I get to share one of them too. Thank you so, so much for that comment Cath. Means so much and provides great motivation. Love that you get it completely Jody! Thanks so much Willie and you’ll see – the Ocean is definitely female, even in 15 degrees C. Warm wishes! Means the world Yvonne. Thank you from the depths! I love that the privilege of being able to share within a community of those who already have so much marine knowledge and passion e.g. you and Billy! 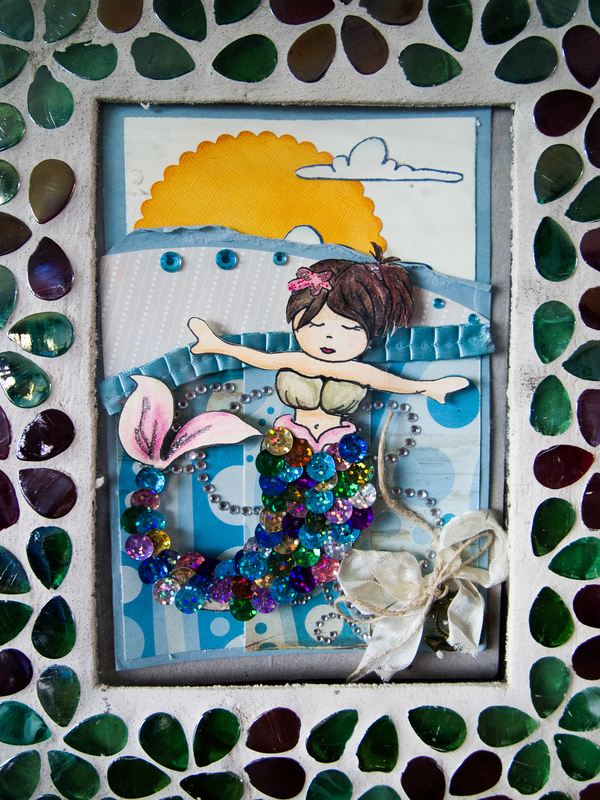 dear sparkly mermaid ocean goddess! you do SHINE and your LIGHT brings so much of the ocean to life for so many! thank you! keep on sparkling! Oh Christy – thank you!!! Means so much coming from you. Never even considered that element of shining and it is so what I am striving to do – shine the light on what is in the darkness in order to create human connection and conservation. Jacky, it’s great to hear your passionate voice through this blog. Since 2006 I was lucky to see you as the naturalist on the whale watch/ wildlife excursion from T.C. Your enthusiasm and passion always adds so much value to these trips. Thanks to you, me and my groups became aware off the fragile relationships within the N.E. Pacific. As I’m back in the Netherlands since a year, I’m glad to be able to hear your voice through this blog. I hope to be guiding this summer again. Hope to see you around! Hello Josette! Wat leuk! How wonderful to hear from you and know you are a reader! So glad that the blog can do a bit to connect you to this area you love. Hope we do see one another again in TC this year. Dear Jackie, I can only boost half of the numbers of dives that you have and most of them not in BC. However what comes through in your post is something I relate to and share : The deep intense love , respect and passion for the ocean. Not just as the amazing basis of all life on earth but also as the place where you meet creatures from another universe and deep inner reflections. The commitment to protect this realm, to share your experiences and to educate the future generations about what is really essential in life is something I am striving to equal . It is a great pleasure to work with you and I hope that you will “shine on” as an example for many dives to come.